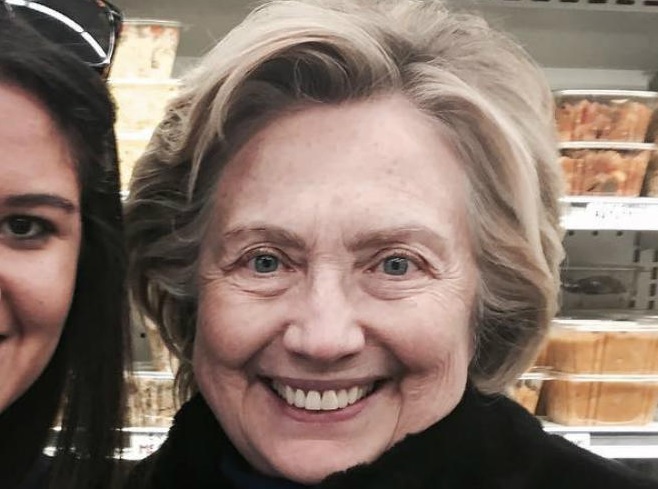 Hillary Clinton was spotted out again shopping… This time for Thanksgiving dinner. She hasn’t driven a car in 20 years. Now, since she got shellacked in the election, she’s been spotted all over the place doing ordinary things. And she looks like hell. She needs to hit the makeup counter next time she’s out.